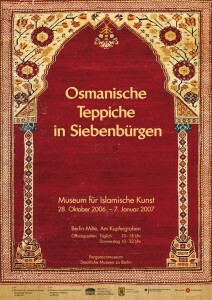 Exhibition at the Sakip Sabanci Museum in Emirgan, Istanbul curated by dr. Nazan Olçer and Michael Franses. T his is the first time after the great exhibition of 1914 from Budapest that rugs from the Transylvanian Lutheran Parishes are exhibited abr oad. 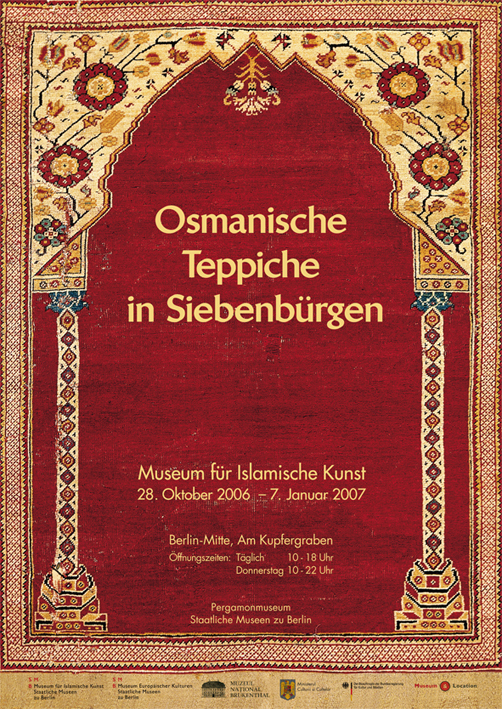 23 outstanding Ottoman rugs, from the secont half of the 15th century to the end of the 17th century, from the great Parish collections of Brasov (Kronstadt) and Medias (Mediasch) and from smaller Transylvania Parishes – Bagaciu (Bogeschdorf), Ghimbav (Weidenbach), Halchiu (Heldsdorf), Richis (Reichesdorf), Rupea (Reps), Sânpetru (Petersberg), Valea Viilor (Wurmloch) –, with examples from the Brukenthal Museum in Sibiu were exhibited at the Museum of Islamic Art in Berlin.